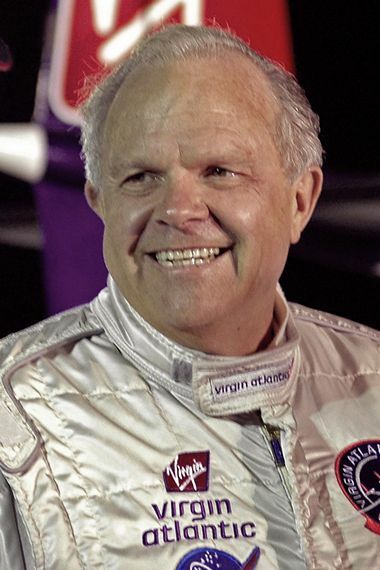 American businessman, James Stephen "Steve" Fossett (22 April 1944 -3 September 2007) was an and a record-setting aviator, sailor and adventurer. Steve was the first person to fly solo nonstop around the world in a balloon and was best known for many world records, including five nonstop circumnavigations of the Earth. Fossett made the first solo nonstop unrefuelled fixed-wing aircraft flight around the world between February 28 and 3 March 2005. He took off from Salina, Kansas in the Virgin Atlantic GlobalFlyer and flew eastbound with the prevailing winds, returning to Salina after 67 hours, 1 minute, 10 seconds, without refuelling. The GlobalFlyer designed by Burt Rutan and his company, Scaled Composites specifically for long-distance solo flight is of carbon fibre reinforced plastic construction powered by a single Williams FJ44 turbofan engine. On 11 February 2006, Fossett set the absolute world record for "distance without landing" by flying from the Kennedy Space Centre, Florida, around the world eastbound, then upon returning to Florida continuing across the Atlantic a second time to land in Bournemouth, England. The official distance was 25,766 statute miles (41,467 km) and the duration was 76 hours 45 minutes. The next month, Fossett made a third flight around the world in order to break the absolute record for "Distance over a closed circuit without landing" (with take-off and landing at the same airport). He took off from Salina, Kansas on March 14, 2006 and returned on 17 March 2006 after flying 25,262 statute miles (40,655 km). 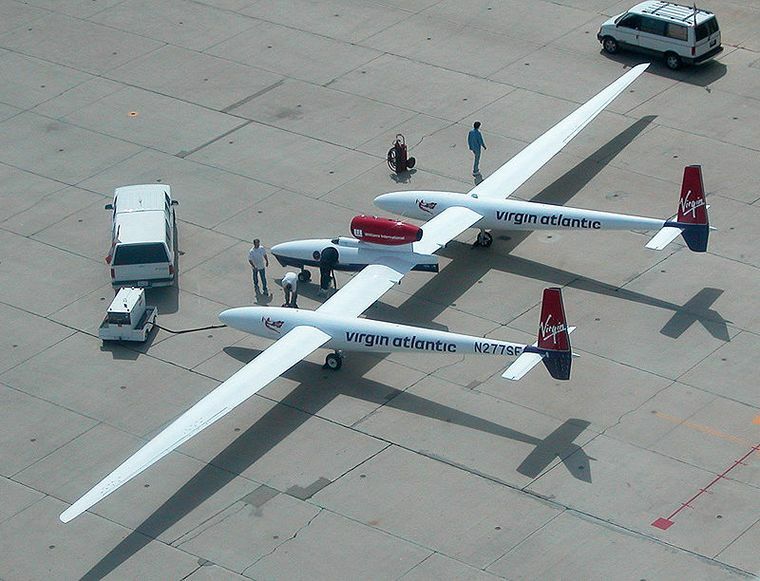 There are only seven absolute world records for fixed-wing aircraft recognized by the Fédération Aéronautique Internationale and Fossett broke three of them in the Virgin Atlantic GlobalFlyer. At 8:45 am, on Monday 3 September 2007 Fossett took off in a Bellanca Super Decathlon from Flying-M Ranch, a private airstrip, in Nevada, California. He did not return and a search began six hours later. On 29 September 2008, a hiker found three crumpled identification cards in the Eastern Sierra Nevada in California about 65 miles (100 km) south of Fossett's take-off site. The items were confirmed as belonging to Fossett and included an FAA-issued card, his Soaring Society of America membership card and $1,005 in cash. On 1 October air search teams spotted wreckage on the ground about 750 yards (690 m) from where the personal items had been found. Later that evening the teams confirmed identification of the tail number of Fossett's plane.